This is the most comprehensive Guitar Flash Cards resource on the Internet. The Guitar Flash Card Packs available here are worlds apart from the low quality flash cards found on other sites. 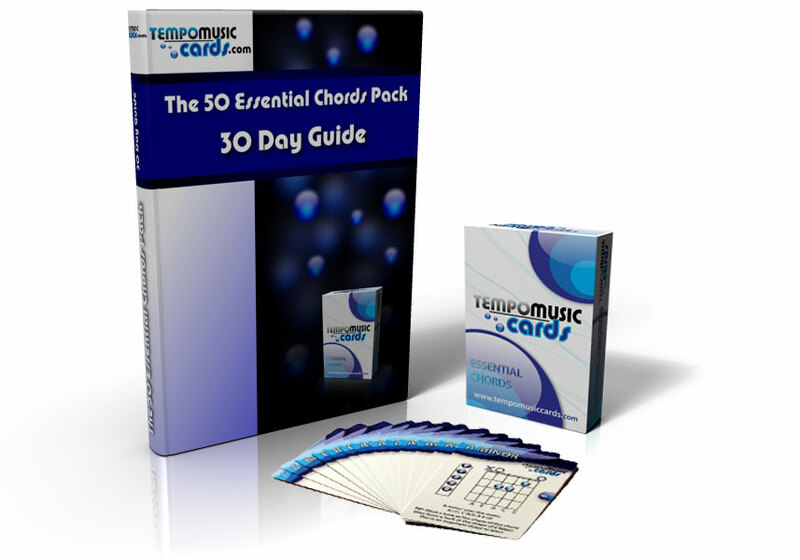 Learn to play 50 Essential Chords found in countless songs using these packs. On top of these high quality packs, this site provides you with dedicated lessons, articles, tips, games and other resources to help you get the most out of your cards. Due to popular demand of the Flash Cards Pack & free eBook, we have lowered the price from $15.99 to $12.99. These flash cards are only available online and can be sent anywhere in the world, so out the online store here to grab yourself a pack.